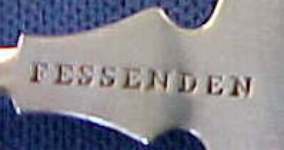 Fessenden & Co. was founded in Providence, Rhode Island from the year 1862 and lasted till 1922. 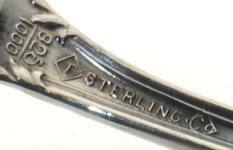 The company manufactures sterling silver hollow ware, flatware and souvenir spoons. Piror to Fessenden & Co., the company was known as Whiting Fessenden & Cowan in the 1850s and later changed its name to to Wm.P. Fessenden & Co in the year 1858 then finally Fessenden & Company in the year 1862.